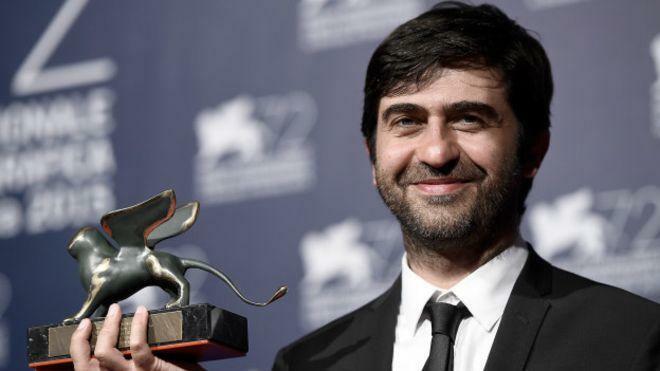 Boğaziçi University graduate and director Emin Alper’s film “Abluka” (Frenzy) received the Special Jury Prize at the 72nd Venice Film Festival this year. The jury comprised Mexican Director Alfonso Cuarón (President of the jury), Nuri Bilge Ceylan, Elizabeth Banks, Emmanuel Carrère, Hou Hsiao-Hsien, Diane Kruger, Francesco Munzi, Pawel Pawlikowski and Lynne Ramsey. Emin Alper graduated from Boğaziçi University, where he subsequently received his doctoral degree on Modern Turkish History (2003). Emin Alper’s second long film “Abluka” (Frenzy) was awarded the Special Jury Prize in the main competition category at the 72nd Venice International Film Festival, the oldest film festival in the world. “Abluka” (Frenzy) is the story of two brothers as they strive to survive the environment of political violence in the slum neighborhood where they live, which has been blockaded as a security measure. The cast includes Mehmet Özgür, Berkay Ateş, Tülin Özen and Müfit Kayacan. Emin Alper studied Economics and History at Boğaziçi University and subsequently received his doctoral degree at Boğaziçi University’s Atatürk Institute for Modern Turkish History (hhtp://www.ata.boun.edu.tr/?q=node/182) in 2003. While he was a student, he started writing scenarios. At Boğaziçi University, Emin Alper was on the team that published the magazine titled “Görüntü”. He was active in student clubs, and his articles on politics and the cinema were published in many magazines and journals, namely “Tarih ve Toplum”, “Birikim”, “Mesele”, “Altyazı” and “Görüntü”. Alper’s short film “Mektup” (The Letter) was filmed in 2005 with the help of a program titled “Young Filmmakers” on TRT (Turkish Radio and Television Corporation). The format of the program entailed evaluating the projects submitted to them and sending their crew to assist the filming of those found successful. “Mektup” was followed by another short film, “Rıfat” (2006). In 2012, Alper became a public figure with his first long film “Tepenin Ardı” (Beyond the Hill), on which he had worked for quite some time. “Abluka” (Frenzy) had its world premiere at this year’s Venice International Film Festival. “Tepenin Ardı” (Beyond the Hill) won 16 national and international awards and prizes in 2012, including the Caligari Film Award at Berlin Film Festival, the Best Film award at the Asia Pacific Film Festival, Best Turkish Film award at the 31st Istanbul Film Festival, the Netpac Award at the Karlovy Vary International Film Festival, and the Grand Prize in the International Young Talent Competition at the Taipei Film Festival.